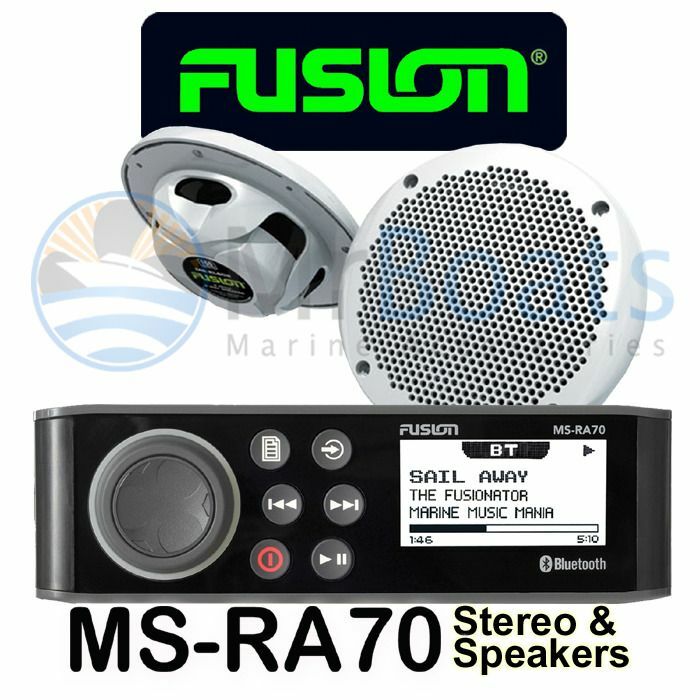 Introducing the MS-RA70, FUSIONs sleekest value-packed marine stereo, designed to deliver a quality on-water entertainment experience by incorporating some of the latest marine technologies. 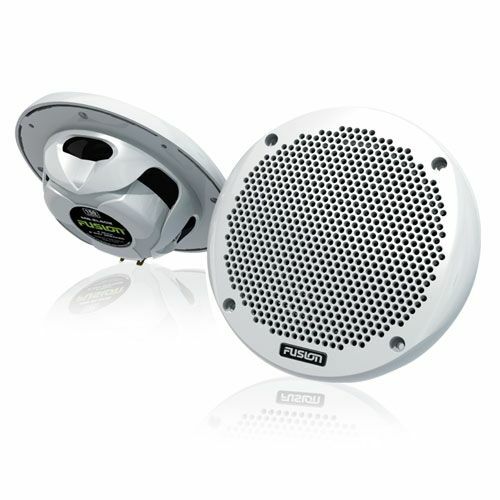 Engineered to seamlessly replace any standard DIN sized non-marinised stereo without the need to reconfigure dash space. Clever styling allows an installer the option of either mounting the stereo with a conventional dash finish or an option to integrate into a glass helm with a flush surface mount, ensuring a high-end installation. 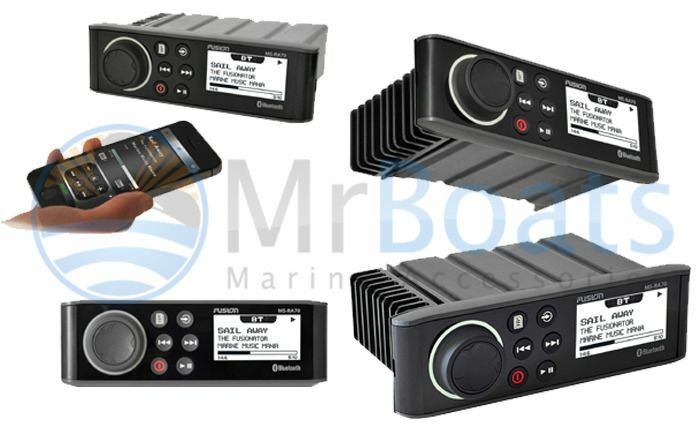 The MS-RA70 designed and engineered specifically for the marine environment, with an IPx7 front panel (when mounted correctly) to withstand the environment like none other, perfectly paired with an optically bonded LCD for crystal clear display on the high seas. Listen to USB MP3 audio, connect your supported smartphone or even relax to your local AM/FM station; the MS-RA70 delivers marine grade entertainment to those who would normally have to result to installing unfriendly and rust prone car audio stereos – Rest easy, let FUSION entertain you on the water. Please Note: Doesn't come with phone in the picture. This is only for reference.